Make it Monday! 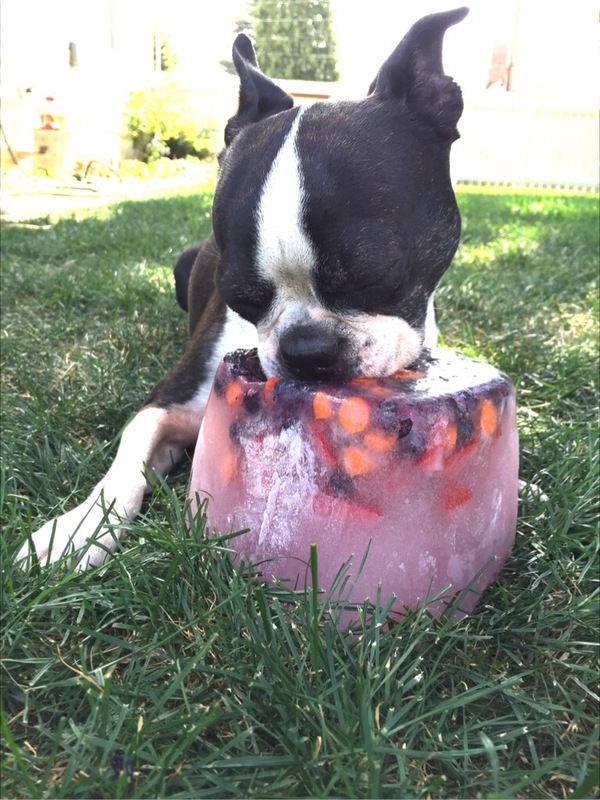 DIY Doggy Ice Block! Its been a super hot summer so far. Even in Seattle we have been seeing temps of 90 to 100 at least once a week. For this Make it Monday! 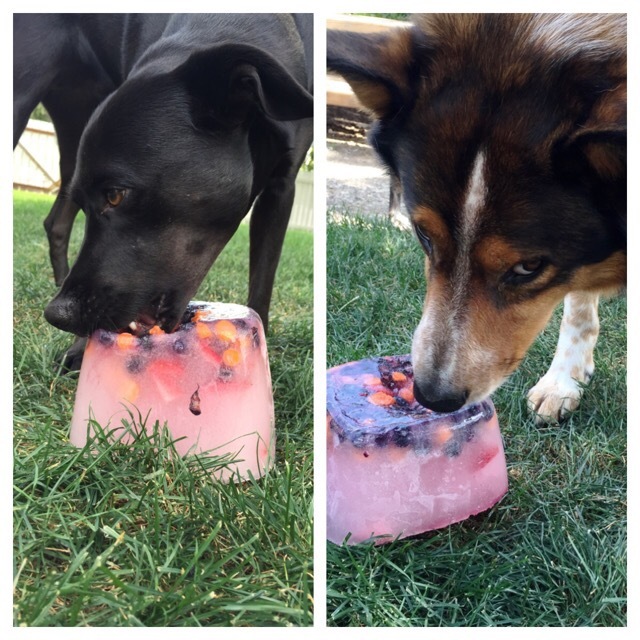 I thought I would make something that would help cool down the pups on these hot days. I call it, thanks to my sister-in-law, fruit chicken soup! 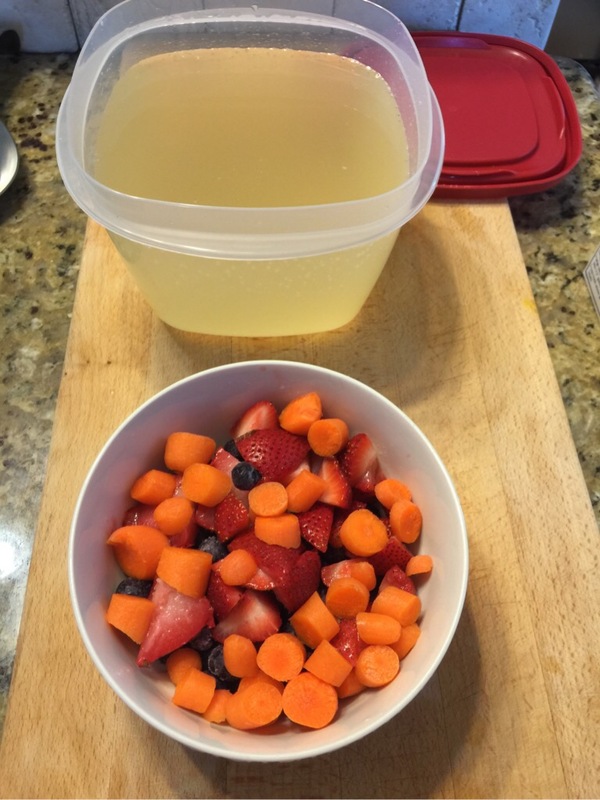 First I filled the Tupperware half with tap water and half with chicken broth. 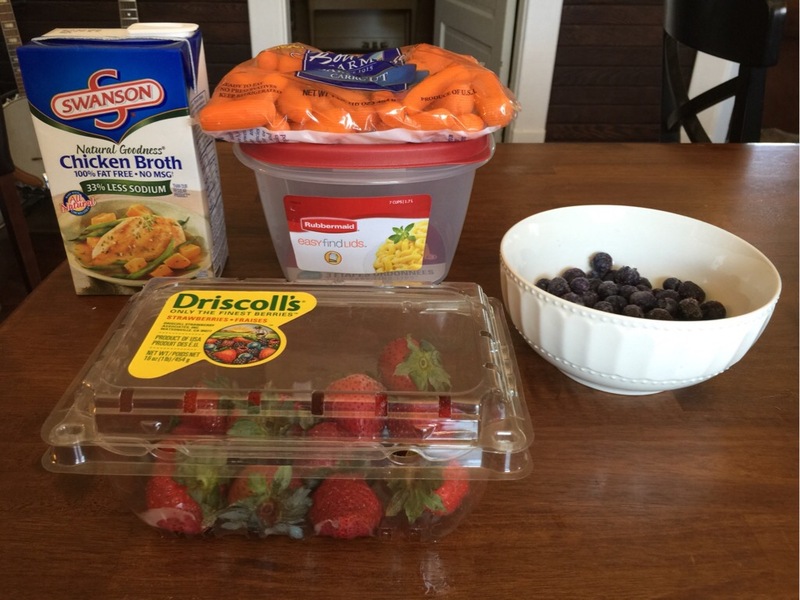 Then I added chopped strawberries, and carrots as well as a cup and a half of fresh blueberries. The next step was to freeze over night. It may take longer or shorter depending on the size of container you choose. This morning when we wake up the sun was shining and the mercury was already rising. I pulled the fruit chicken soup from the freezer and with a little help from the hot water tap I was able to pop out the ice block. I took it outside and Basil, and our housemates dogs, Luna, and Hank went to town. This was a serious success! I am very happy with the result and the dogs really enjoyed it. 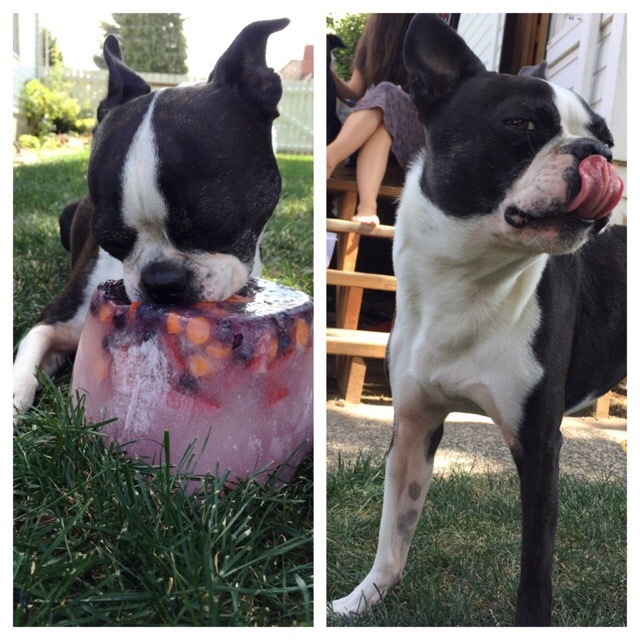 I highly recommend doing this for your dog this summer. Feel free to add dog food, dog treats, and toys or whatever your dog prefers.